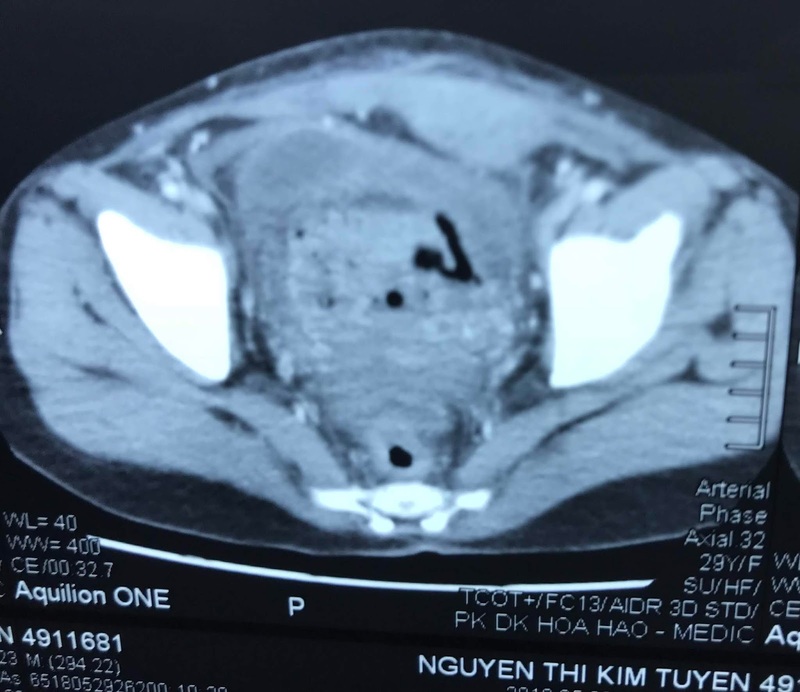 VIETNAMESE MEDIC ULTRASOUND: CASE 496: POST-PARTUM PELVIS ABSCESS, Dr PHAN THANH HẢI, MEDIC MEDICAL CENTER, HCMC, VIETNAM. 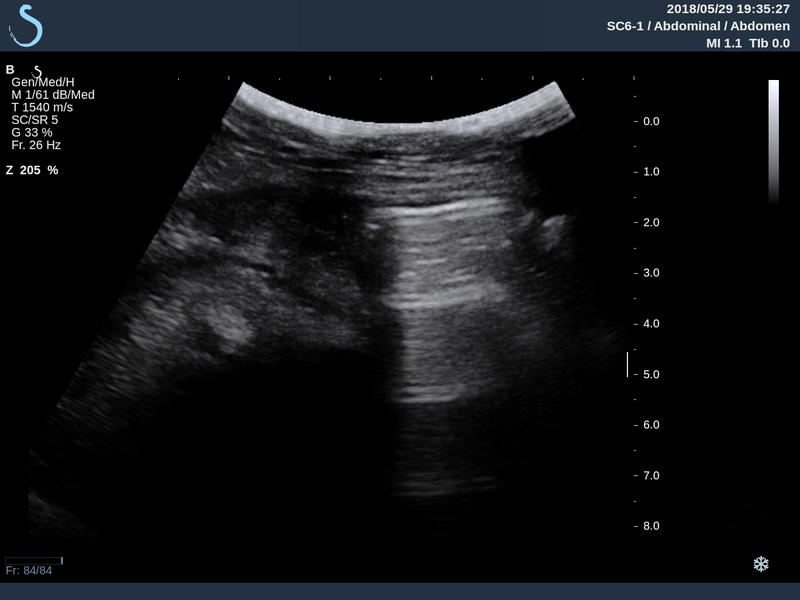 CASE 496: POST-PARTUM PELVIS ABSCESS, Dr PHAN THANH HẢI, MEDIC MEDICAL CENTER, HCMC, VIETNAM. Woman 29yo experienced a cesarean operation for 9 days with normal primigest terminal. 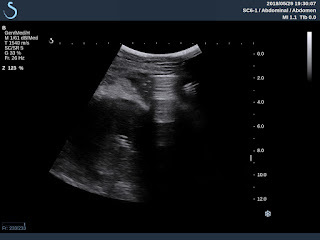 And she had got fever and pain at pelvis and diarrhea (see photo). 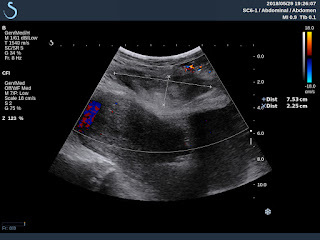 US 1 scan at pelvis : longitudinal scan shows that fluid in abdominal walll as an abscess and a big uterus. 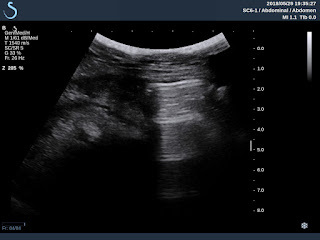 US 2 scan at pelvis : air in abdominal wall and inside uterus. 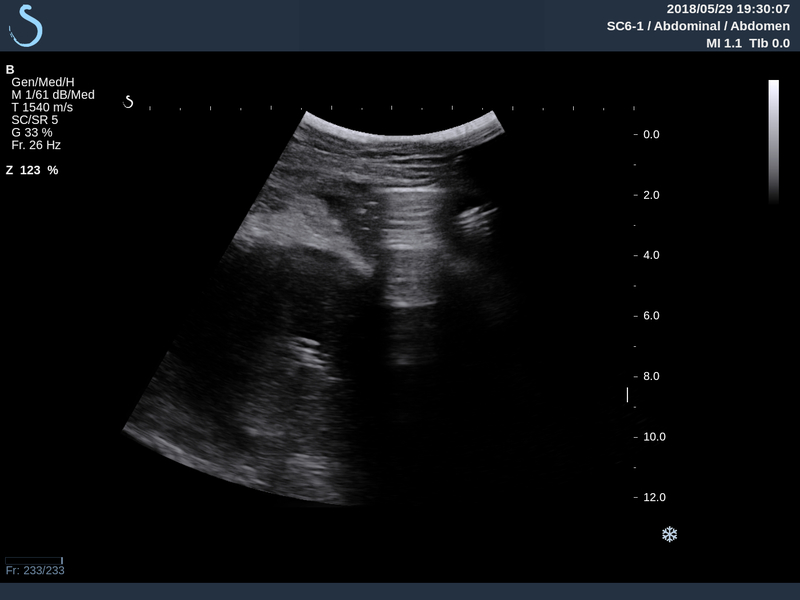 US 3: reverberation by the air in abdominal wall. MSCT with CE = CT 1: CROSSED SECTION : AIR IN ABDOMEN WALL. 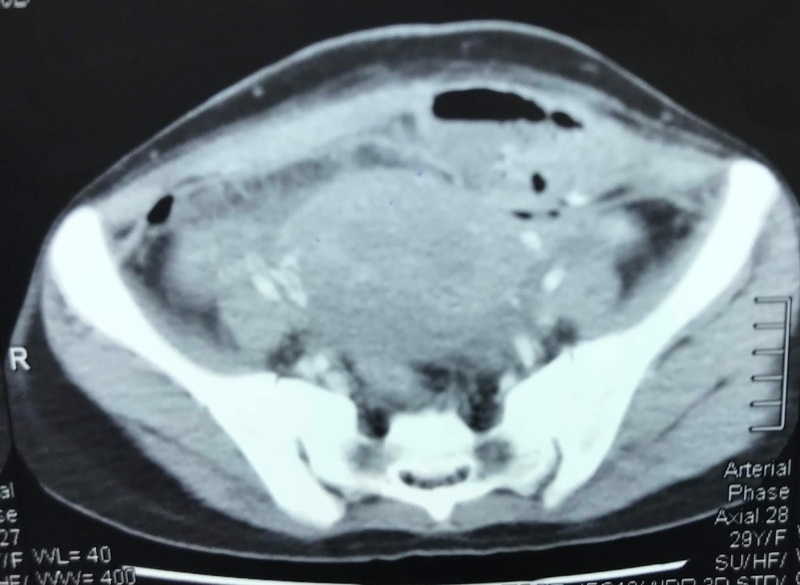 CT2 : AIR IN UTERUS. 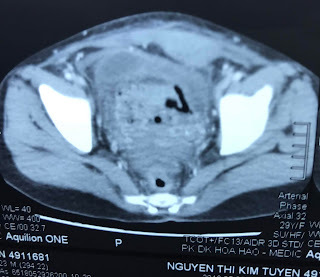 CT3 : AIR AROUND UTERUS AND PUS AROUND PELVIS. 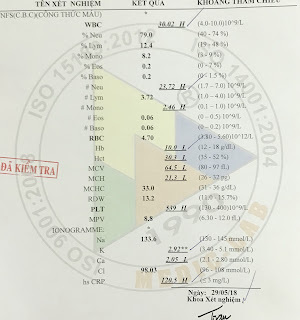 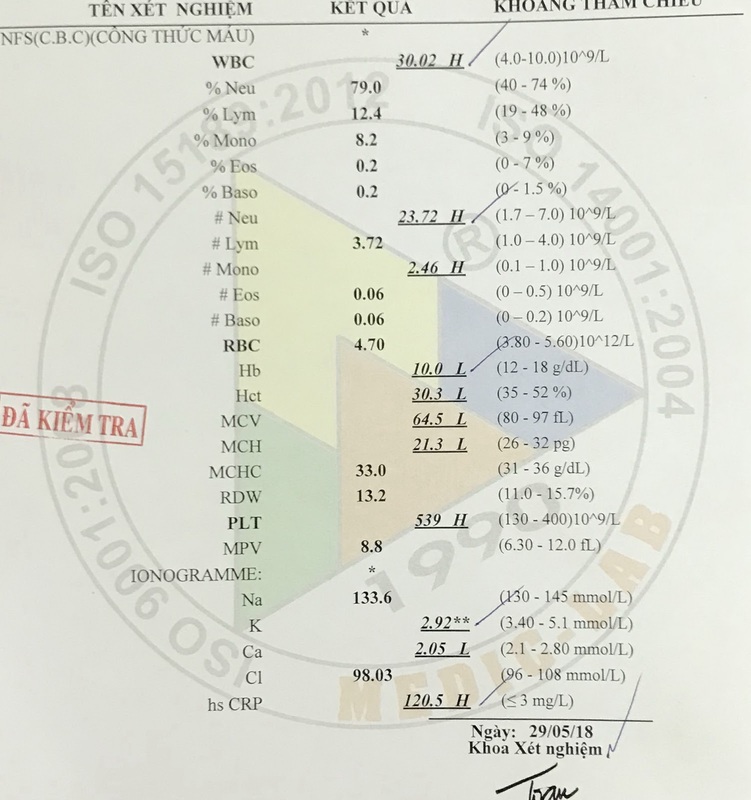 BLOOD TESTS= WBC 30K NEUTRO 23.7% hsCRP 120.5( n 5mg/l). EMERGENCY DIAGNOSIS IS PELVIS ABSCESS PULL OUT THE ABDOMEN WALL. 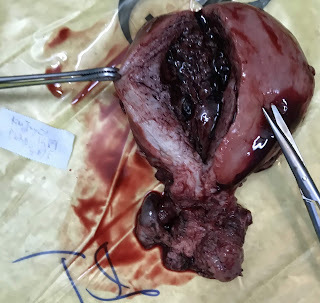 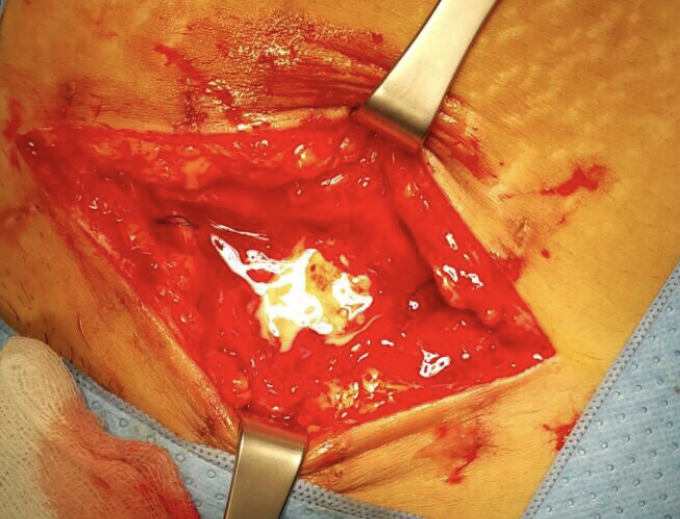 OPERATION LAPAROTOMY FOR REMOVING OF PUS AND HYSTERECTOMY.